Miami is a major tourist destination and metropolitan city, which equates to a high concentration of taxi services transporting passengers from one location to another, increasing the chances of a taxi accident occurring. When requesting the service of a taxi, you expect to have yourself, your family, and your belongings safely driven to the destination of your choice in a timely and safe manner, but that is not always the case. 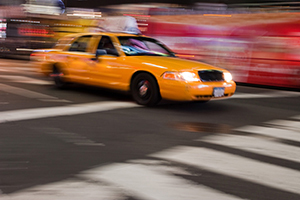 If you have been involved in a taxi accident in Miami, you have options. Do not think that simply because you were being driven by someone else that your rights are taken away. 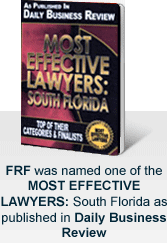 It is quite the contrary as you have many rights granted to you by the State of Florida and its laws. Given our state’s popularity with tourists, there is much legislation and regulation directed at taxi companies and taxi drivers. Our firm understands Florida law and will use it to prepare your claim to be brought against the driver, his or her employer, and their insurance company in order to demand compensation for any damages or losses you have sustained. The State of Florida requires that taxi drivers obtain a commercial driver's license to drive a passenger work vehicle. Our team of investigators will ascertain if your driver had the appropriate license and training when he or she was driving you, as this would be a clear violation of your rights. The next appropriate step would be to investigate even further into their driving record. We will take every necessary measure to determine if there have been any prior incidents in the taxi driver’s history, such as prior accidents, infractions, or signs of reckless driving. It is important to assess the background of your driver as it may signal negligence in his or her behavior as well as that of the taxi company that hired him. An extensive background check will point to whether inappropriate actions, such as driving too fast, or not complying with required safety measures, have taken place before. There are more factors to consider, such as whether or not your driver has the appropriate insurance required by Florida law, whether proper maintenance has been performed on the vehicle, and whether any malfunctioning parts in the vehicle caused the accident. If there are any signs pointing to negligence, it will only help us build our evidence against the responsible parties, including the driver, the taxi company, insurance company, or parts manufacturer. Despite having to deal with the repercussions of an accident, failing to pursue a claim is the wrong decision to make for you and your family. It is important to exercise your right to recover appropriate compensation for your injuries because it can help you handle your inevitable losses but it also sets a precedent and prevents the culprits from endangering the life of someone else in the future. For all of your legal needs, reach out to Friedman, Rodman & Frank, aggressive attorneys representing victims involved in taxi accidents in Miami. Call us at 305-448-8585 to discuss your claim today. Free and confidential consultations are available in English, Spanish, or Creole for your convenience. We do not collect an attorney’s fee until the successful resolution of your case.